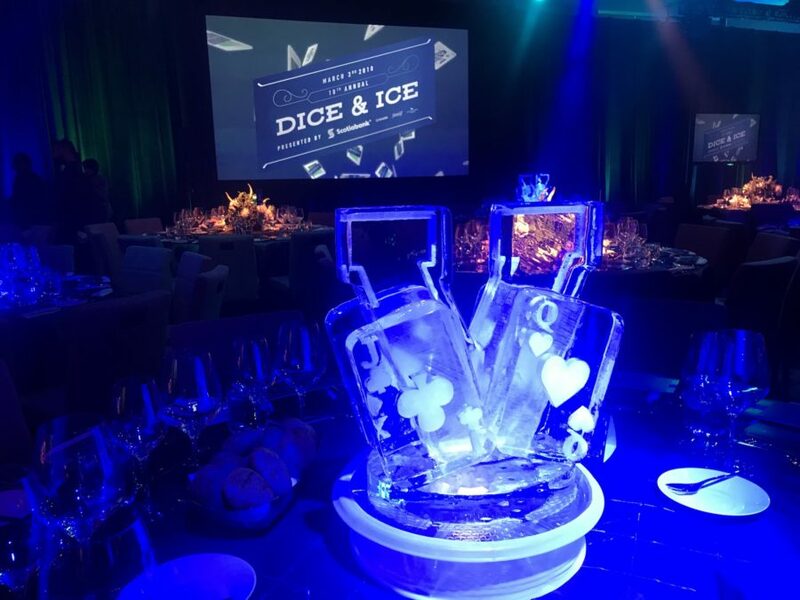 On March 3rd, the Vancouver Canucks proudly hosted the 18th Annual Canucks Dice and Ice benefit presented by Scotiabank at the at the new JW Marriott Parq Vancouver, Grand Ballroom. The Canucks for Kids Fund sold-out night and gala dinner raised more than $800,000 in proceeds for charities serving children in BC. Now in their 32nd year, through the support of our fans, donors, players, employees and corporate partners, the Canucks for Kids Fund (CFKF) has granted more than $56 million to charities across British Columbia. Serving more than 130 different organizations, the CFKF donates to charities which support children’s health and wellness, foster the development of grassroots hockey and facilitate and encourage education in BC. Proshow is proud to have provided audio and video support for this incredible cause for the 3rd year in a row.